From the creator of "Mouse for Cats" and "Mouse in Cheese" you may expect great visual quality and perfect cat's optimalizations. Catch some fishes! 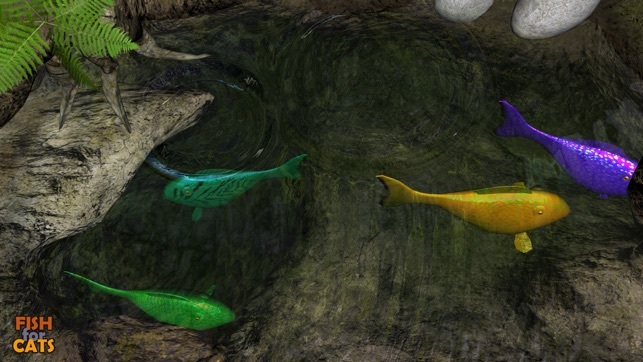 They change colors, feeding plankton, resting or swimming like out of their minds. 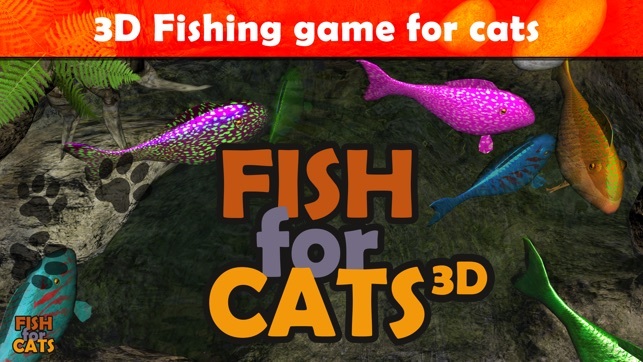 This is not fishing simulator, this is crazy game for cats! 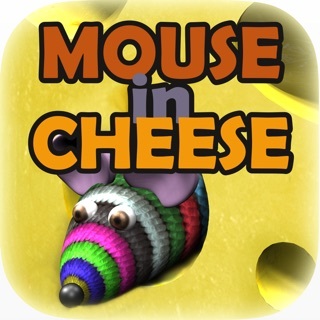 Colors of fishes are generated randomly to fit cat's visible spectrum, it should attract their attention but if your indoor pet is not interested in game or your cat is newbie to iPad gaming at all, we recommend to try "Mouse for Cats" first and then "Mouse in Cheese". Everything depends on cat's mood. You can try game in different daytime. 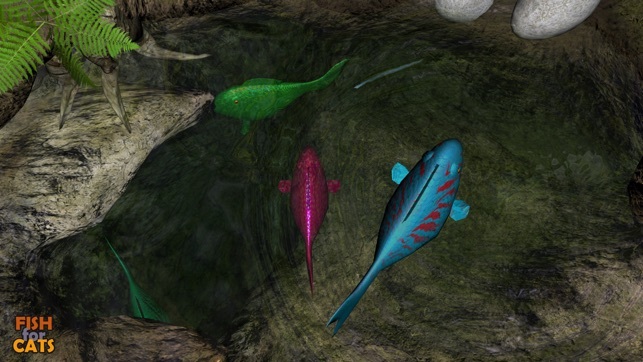 if there is no fish on screen, they are gone or in caves, you can wait for them, tap close to stones to produce plankton so they come to feed, or just close app and start again. 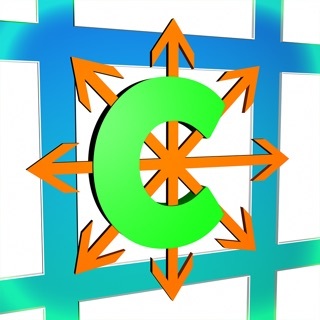 Recommended for iPad Air, iPhone 5 or better, it runs on iPad Retina but slow, please give us feedback on our support portal. 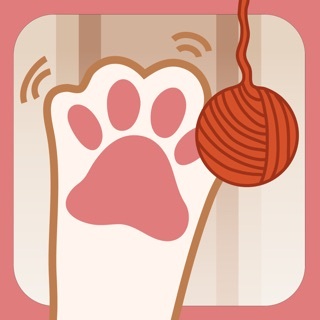 After trying other apps, this and Mouse for cats are my cats and my favorites. 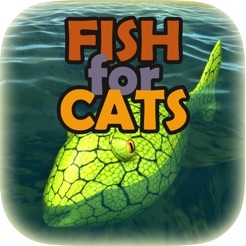 I will sit in my recliner, start the app, and rest the iPad on my stomach and my cat will hop in my lap, settle in and start pawing at the screen trying to catch those fish. I love the bonding time and she’s so engaged by it, any time I have my iPad in my hands, she thinks it’s time to play. My one request would be a toggle function that disables the iPad going to sleep, or extends the sleep timeout for a configurable duration. both apps are having own Settings in iPad settings - open Settings and scroll down left app list until you will find Mouse for Cats, or Fish for Cats. Not good! 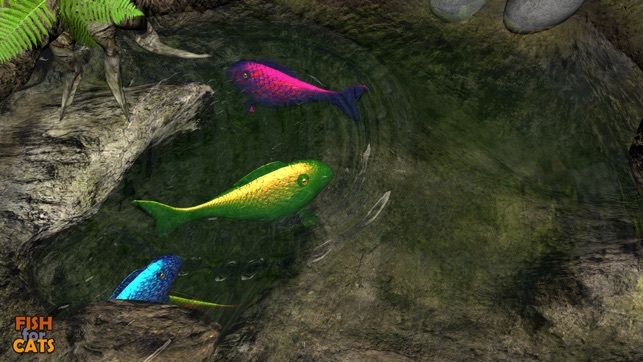 First of all, the fish are way to dum, and the fish just run into each other and go swim in places where you can’t see them. 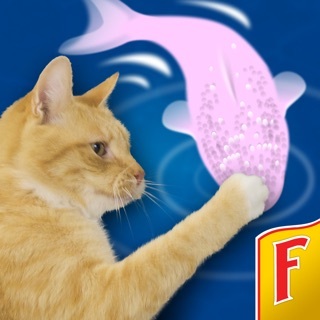 I don’t think the fish should change colors because it would just freak the cat out. Lastly, my cat wasn’t amused he just sat there and watched the fish for a minute then walked away. I'd love it if you would fix these ifs.